During the worldwide fight against evil, four prisoners of war are found in a raid on a Gestapo jail. They have been freed by a "Mrs. White," a secret British intelligence agent, who needs someone to take down Hitler and his Third Reich once and for all. Not every part of the war effort is noble. In fact, Mrs. White has something else in mind for the squad. Players will fight for their freedom via sabotage, robberies and assassinations of the Nazi Party. If they're stealing from the Nazis, why not get rich on the side? WAR CRIES - Each class has its unique War Cry - a powerful ability that can be unleashed to buff yourself or the entire team. For example, if a player activates the War Cry BERSERK, players won't consume ammo for a limited time - so they're free to blast away. WEAPON MODIFICATIONS - World War II saw the dawn of a whole lot of new weapons that said "bang" in lots of new ways. RAID allows players to play around with these weapons and of course upgrade and customize. Barrels, stocks, fore grips, optic sights and much more allow for a vast range of play styles. CHALLENGE CARDS - Players can earn and spend special Challenge Cards. These let players customize the "rules" of a raid in a buff-debuff way. For example, enemy ammo drops will increase, but at the expense of enemies doing greater damage. 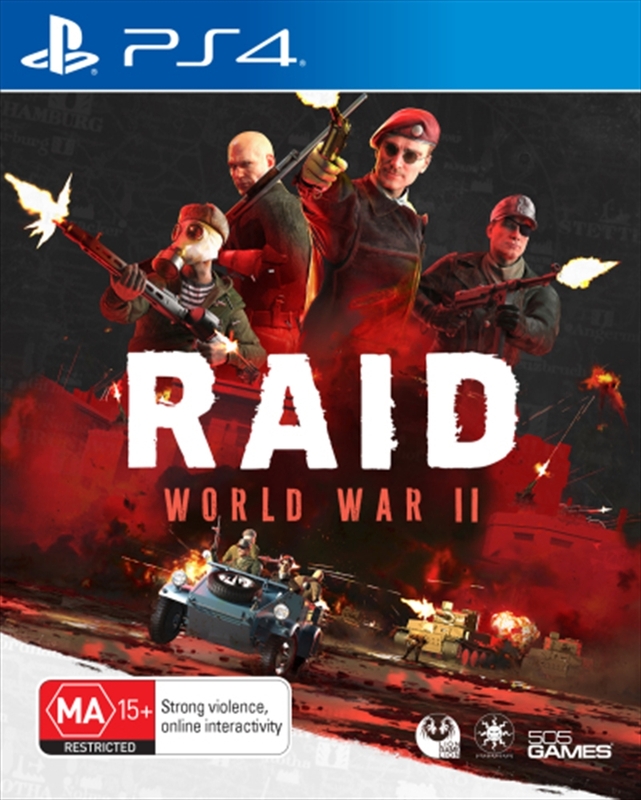 LOCATIONS - RAID: World War II takes place in locations across war-torn Europe. From the mighty Flakturm dominating the heart of Berlin, to the idyllic Bridge over the Elbe, players are sure to enjoy bringing slaughter to every corner of Hitler's Reich.